Félicitations! The Real World: Las Vegas&apos; Trishelle Cannatella got engaged to her boyfriend, John Hensz, in New Orleans&apos; French Quarter on Sunday, July 31, and finally, we have a close-up shot of her massive diamond engagement ring. 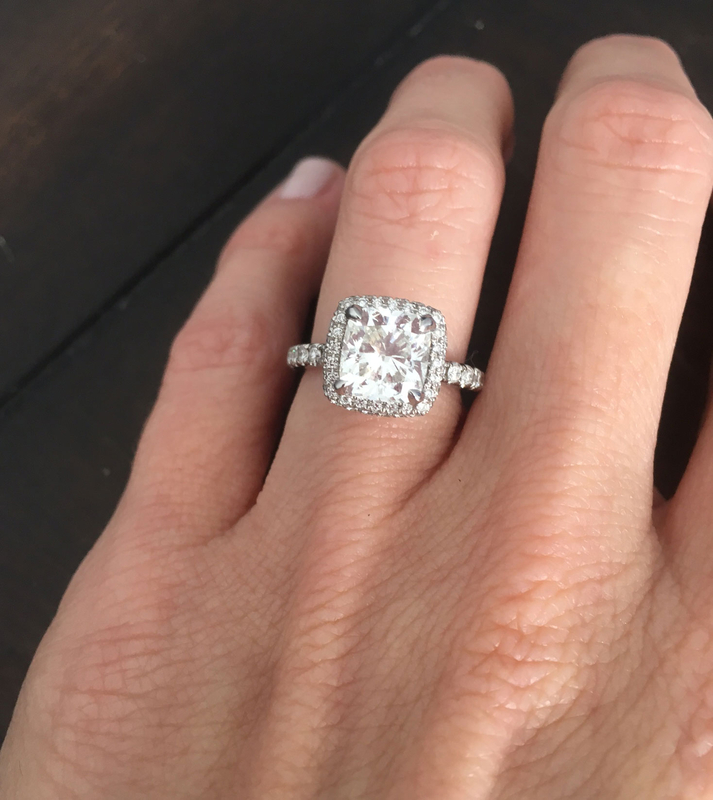 Hensz proposed to Cannatella, 36, with an eye-popping stunner that boasts a square-shaped center stone, surrounded by a diamond halo and accented with pave diamonds along the band. 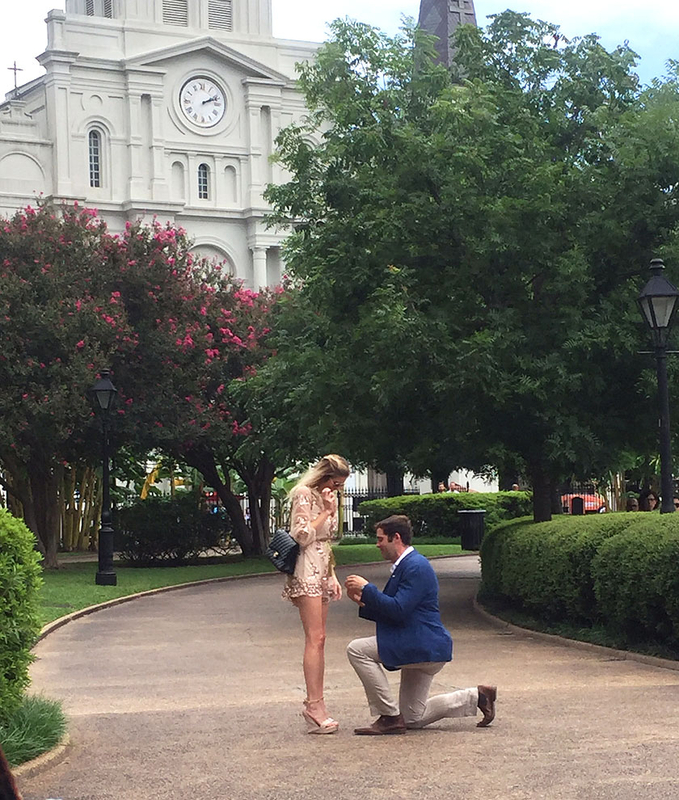 As Cannatella told Us Weekly, the whole proposal — which included a parade in the middle of New Orleans — was a surprise. "We went to brunch in the French Quarter with my sister and then we randomly — or so I thought — saw one of my best friends, Kristin, with more of our friends by a band. I thought they were just hanging out," Cannatella, who also competed on MTV&apos;s The Challenge, told Us. Hensz, who is a fighter pilot in the National Guard and a pilot for Delta, took the TV personality from bar to bar, finding more friends along the way, until she realized they were being trailed by a brass band. Finally, they arrived at the city&apos;s famed Jackson Square, where her father was waiting. "He got down on one knee and proposed in front of the church — and also a very drunk gentleman passed out in the grass. It was magical!" she said. "Then we all went to the 21st Amendment Bar for an engagement party, where they made us a cocktail called &apos;She Said Yes!&apos; It was seriously the best day of my life." PHOTOS: More Stars Who Got Engaged in 2016 and Their Rings! Cannatella added, "I couldn&apos;t believe he did all of that for me. My dream was to have a second line. It&apos;s a New Orleans tradition. I&apos;m still smiling! I don&apos;t know how our wedding will top our engagement." Get celeb fashion, beauty tips, and more delivered directly to your inbox. Sign up for the Us Weekly Style & Beauty newsletter now!